Combining the experience of professional divers with certified ship repair knowledge, underwater inspections can help keep your vessel in top shape for years to come. Though only a small monetary investment, the inspections can offer an incredible return as you save enormous amounts of money on repairs that would be done when problems become more severe. By using a professional underwater inspection service, you can find a wide variety of potential issues that may slowly be damaging your ship. Bent or damaged propeller blades, hull corrosion and cracks, leaking thruster seals, damaged rudders, obstructed sea chests and many more common issues can be identified immediately. By completing a thorough inspection, the dive team provides an intensive report that outlines all the issues with the vessel and the possible fixes. These reports allow ship owners to understand the true condition of their vessel, which lets them decide whether or not they immediately want to repair the problem. In almost all cases, it is recommended that the repairs be done as soon as possible, as they only worsen with time and can lead to safety issues, expensive repairs and the ship being out of commission for weeks. Prior to the inspection process, the team will speak to the vessel owner to get an early understanding of any issues that may already be known. This will allow them to focus on those problematic areas to gain a better idea of where exactly the damage lies. As any vessel owner knows, drydocking is an extremely expensive and time consuming process which means your ship can be unusable for an extended period of time. By conducting an underwater inspection before you drydock, you may be able to save large amounts of time and money through a simple underwater welding or maintenance job. Furthermore, ship owners avoid the potential issue of a low quote before the boat comes out of the water, then the repair company exponentially increasing the price once the boat is in the drydock. 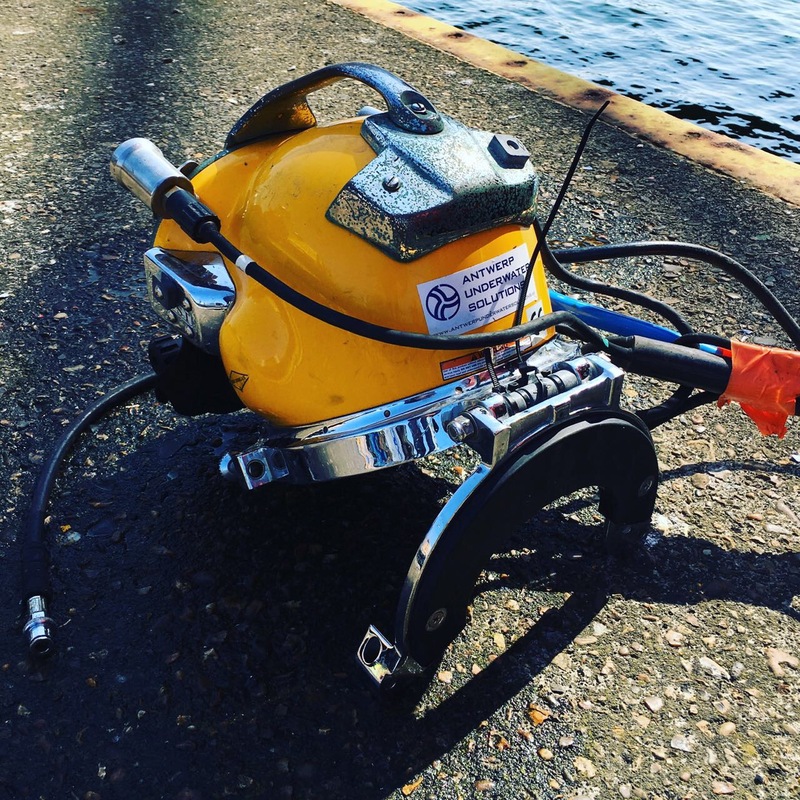 The biggest benefit of an underwater inspection is the short amount of time it takes to get a full understanding of the condition of the vessel. The diving experts can come to your ship quickly and the entire process only takes hours, meaning that you will immediately know if you are in need of repairs or if you can continue on your voyage. Also, the price quotes come almost instantly, so you can budget for the appropriate repairs when they are necessary. Antwerp Underwater Solutions offers full underwater inspection services carried out by our expert certified diving teams. Affordable and fast, we can help you discover any issues with your vessel to help save money by avoiding drydocking and having your ship repaired as soon as possible.